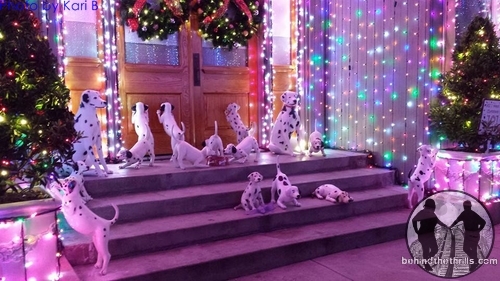 Disney’s Hollywood Studios is knee deep in the Christmas spirit, and they are bringing some of the biggest Hollywood names to life for the holiday season. From Big Hero 6, to Frozen, there is sure to be plenty to keep families in the holiday spirit this year. We take a look around some of the happenings this year, as well as get a look at all the fun and majesty of the annual holiday lights. Big Hero 6 is a huge hit at the box office, and it’s a great hit with the family. Naturally, Disney is going to bring the magic off the screen, and into the parks. The all new Big Hero 6 meet and greet gives you the chance to meet up with Baymax and Hiro. While Hiro is a great face character and interacts with guests, the real attraction here is Baymax. 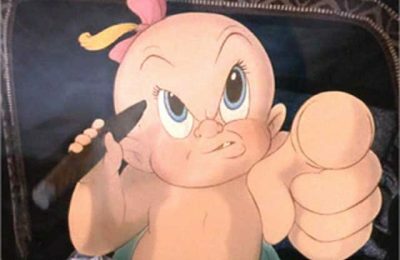 The character follows the design of the film very closely. While the character does not speak (yet) his head moves and his eyes blink. Baymax is also very huggably soft. 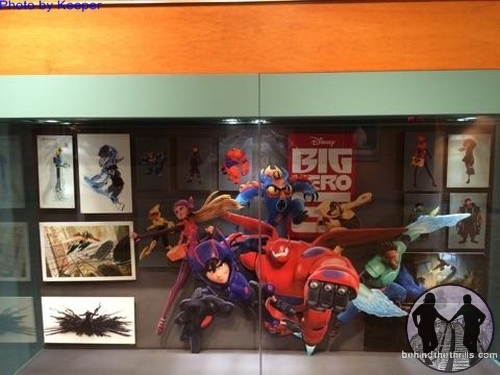 The Meet and Greet area is also full of great concept art for not only Big Hero 6, but also upcoming films as well. 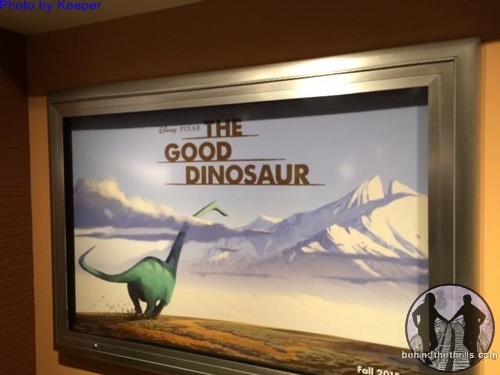 The next to Pixar films, Inside Story, and The Good Dinosaur are represented in the animation building. The films are sure to be popular with audiences and families alike, and we can most likely expect to see characters from those films in the coming months. Frozen has taken over just about everything for the holidays, and Disney’s Hollywood Studios is no exception. Frozen Sing Along continues for the holidays in an all new location. 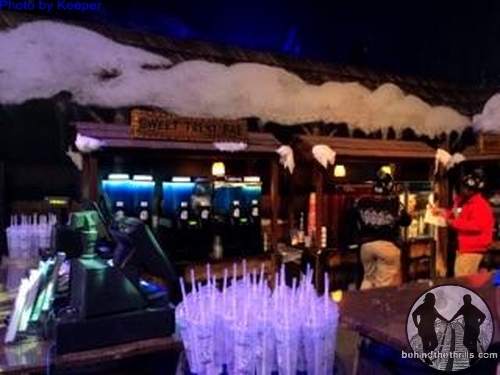 Also in an all new location is Wandering Oaken’s Trading Post and Frozen Funland. During Frozen Summer, the area was full of ice and fun. Now the ice skating is gone, but the snow play area has been extended. There’s also more delicious goodies, and more Frozen merchandise for all those little snow queens on your list. Back again is the Osborne Family Spectacle of Dancing Lights. 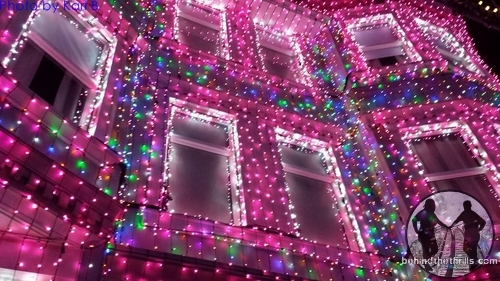 This year the lights are even brighter and have even more details. From various Christmas songs, and even new classics, there are so many things to see. There are tons of hidden Mickey’s, and other little nods to classic Christmas all over the place. New this year is the inclusion of Tim Burton’s Nightmare Before Christmas…sort of. The song “What’s This” plays as part of the rotation and is fast becoming a family favorite. Video-WHAT’S THIS! Nightmare Before Christmas at Disney’s Hollywood Studios! The song is just the latest thing from the film to be included in holidays at Walt Disney World. Over at Magic Kingdom Jack Skellington is out greeting guests as Sandy Claws (click here). 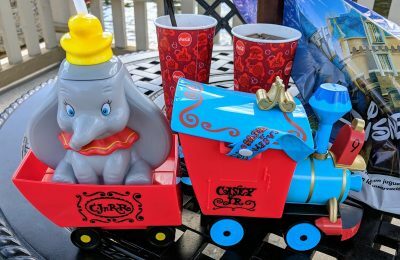 If you want to get a little closer to the fun at Hollywood Studios, Disney is offering a very special Frozen Premium Package. 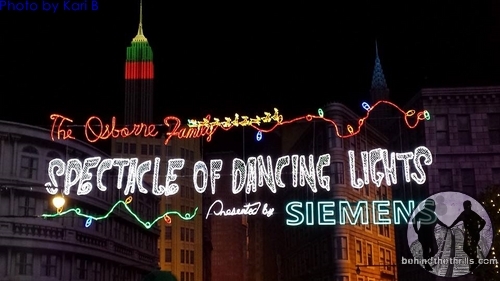 The package includes special access to For the First Time in Forever: A Frozen Sing-Along Celebration as well as a reserved viewing location for the Osborne Family Spectacle of Dancing Lights with specialty alcoholic and non-alcoholic beverages, Frozen-themed desserts, holiday lithograph and Frozen pin. 11/7/14 – 12/24/14, Dessert Party will take place from 7:00-8:30pm. For reservations and more information call 407-939-1854. 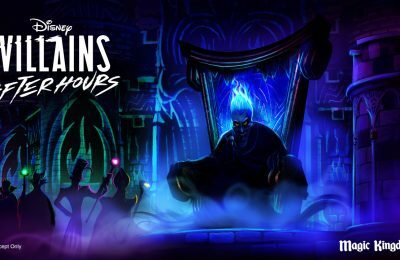 Stay tuned for even more Disney holiday fun, and be sure to get social with us on Facebook, and follow along with us on Twitter @BehindThrills for the latest updates! For more information about holidays at Disney’s Hollywood Studios, including tickets, visit the official website by clicking here!